Everyone loves a little applause now and then. Even the shyest of the shy like the occasional compliment. Everyone reading this has practiced their Oscar or Grammy or Pulitzer speech at least once. No? The Nobel then? 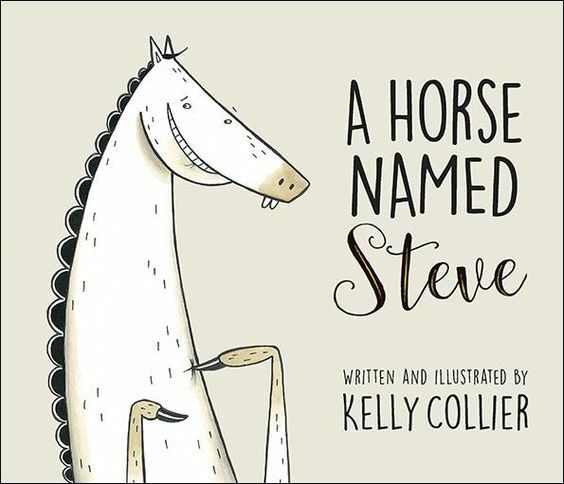 The picture book A Horse Named Steve, written and illustrated by Kelly Collier, is about a horse who longs to be exceptional. He imagines himself standing proudly with a #1 ribbon attached to his chest. One day he finds, not a ribbon, but a beautiful gold horn just lying around in the grass. He investigates and then realizes he has discovered a way to be exceptional. He ties the horn onto his forehead and shows it off to his friends. Unfortunately for Steve, the horn gets lost. He is no longer exceptional. Will Steve find his horn? Will he be exceptional again? 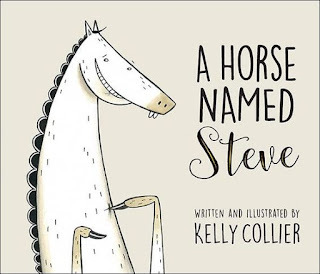 I liked this book because of Steve’s unapologetic ambition to be unique and exceptional. He is the kid that sort of annoys everyone and amazes them at the same time. He knows what he wants and goes after it.